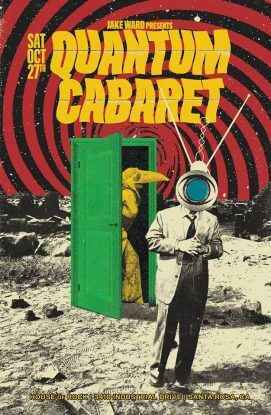 Get ready for the weirdest and wildest Halloween party in Sonoma County… North Bay Cabaret and Jake Ward Presents: QUANTUM CABARET! This event promises an unmatched lineup of jaw-dropping and eye-popping live entertainment like nothing you’ve ever seen. 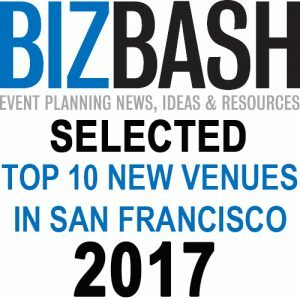 There will be Circus, Burlesque, and Variety Performances, 3 Live Bands, a DJ Dance Party, Futuristic Photo Booth, Freaky Fashion Show, Themed Food/Beverages, Custom Decor & Special FX, Innovative Interactivity, plus a wild, surreal, theatrical storyline that unfolds throughout the night – you’re not going to want to miss this unforgettable experience! TICKETS: EXPECTED TO SELL OUT – ON SALE 9/21/18! Costumes strongly encouraged – let your freak flag fly! $200 Reserved VIP Table: Extremely limited quantity, will sell out fast. Exclusive seating for 4 and a great view of the show. VIP package includes cocktail service, a complimentary bottle of champagne, 1 commemorative event poster to take home, and shared Cosmic Cotton Candy for the table.